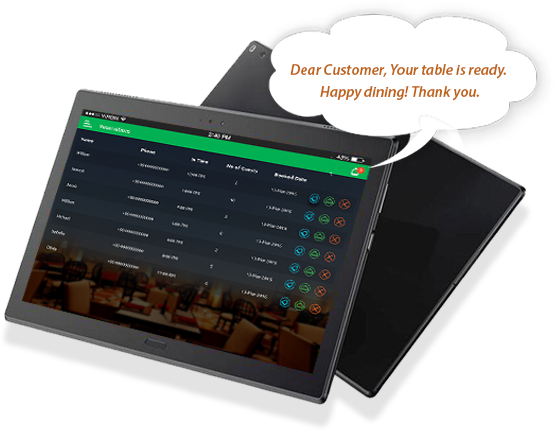 Increase the revenue of your restaurant by implementing BookMyT a visual table assessment with live floor occupancy, and effective table management, join tables to handle larger party. Track live table occupancy with time assigned to till table close. Make your guests happy by not giving them to carry bulky buzzers/pagers and manage wait list and send text message to their phone when table is ready. They need not to be under certain distance for buzzer to buzz, that’s the great freedom to your guests! Capture your guest feedback, billing info & their dining tastes. Offer your own Loyalty program by saving cost on third party loyalty program tools. Run your own promotions / discount offers to your guests. So you will have everything about your guests under one umbrella that is BookMyT. Create your own reservation screen on your website / Social media page using BookMyT web interface and accept the reservations so that you will never miss the reservation again. Handle walk-In customers during non-peak hours so that you need not to create a wait list, and assign a table directly. 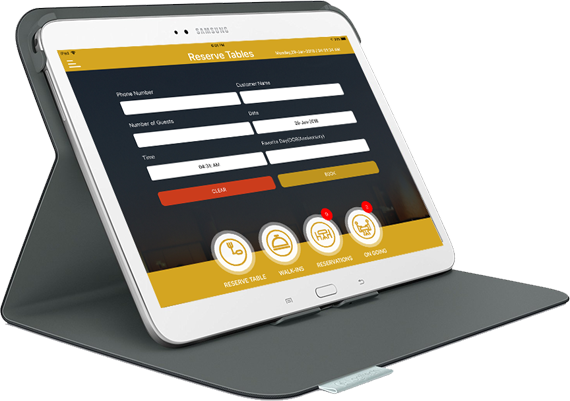 Create customers wait list and send a text message to their mobile when table is ready, instead of customer carrying bulky buzzers with limited distance. Customer can go around instead of waiting in front of restaurant. Capture guest billing details quickly and feedback so that you can track the feedback about your service, steward and sales info before you go to detailed report. Have a visibility about your operations by accessing our advanced business intelligence reporting tool and know everything about your guest right from periodic sales, guest visits, repeated guests Vs new, Feedback and many more. 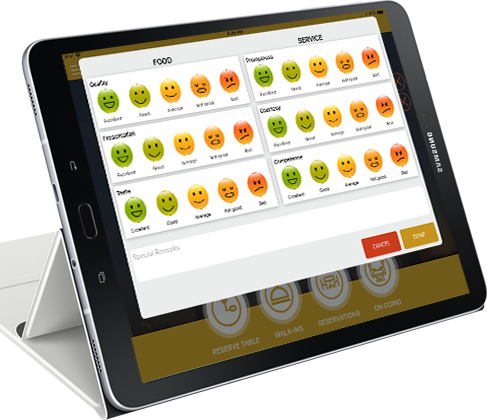 Customize the table structure, number of seats, table types, sections and floors as per your restaurant. You can add, delete and manage tables on the fly. Have a live view of floor occupancy at any given time and see what is the time each party spending a time on each table remotely, even when you are on holiday. Make your guest happy by remembering them (star guest, VIP / Special day) and run various promotional offers to individuals or group without depending on third party tools. Assign stewards to specific rows/sections for efficient serving of food and recognize the performance and reward them for better performance. Capture important information about the guest and their status at the time of table allocation and walk-In. Integrate online reservations directly with your current website with WordPress plug-in or HTML script provided by BookMyT, so that you never miss your reservations.